The mobility enabled not only to deliver the planned lectures but also to introduce the master and doctoral students of the University of Helsinki with the latest research experience of ISE, to develop the further cooperation with the teaching staff (Hannele Cantell, Sirpa Tani, Leena Graeffe, Jyrki Reunamo, etc.) of University of Helsinki started within the previous projects in the last decade. The meetings with several teaching staff members provided the possibility to acquaint with the latest achievements/developments of the Teacher Education Department at the University of Helsinki. The teaching staff of the host institution, among other things, had a possibility to compare the teaching style, teaching approach and content of lecture of visiting professor with their own and reflect on the causes of main differences or similarities. 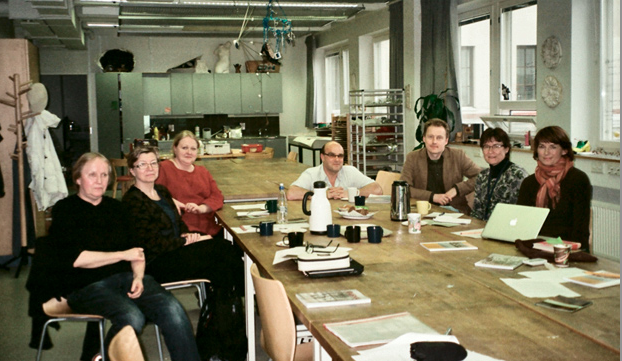 During the lectures, the Institute of Sustainable Education was represented also as a publisher of the Journal of Teacher Education for Sustainability and the Discourse and Communication for Sustainable Education, main guidelines for submission were explained and possible submissions from students and teaching staff at the University of Helsinki were negotiated. The synergetic efficiency of visit emerged also in the possibilities to meet and work with the research partners in international research projects Markku Hannula (University of Helsinki), Madis Lepik (Tallinn University) and to discuss and work with Jyrki Reunamo (University of Helsinki) on the new research projects and further activities concerning the cooperation between the Helsinki University and doctoral students of Pedagogy from the Daugavpils University.